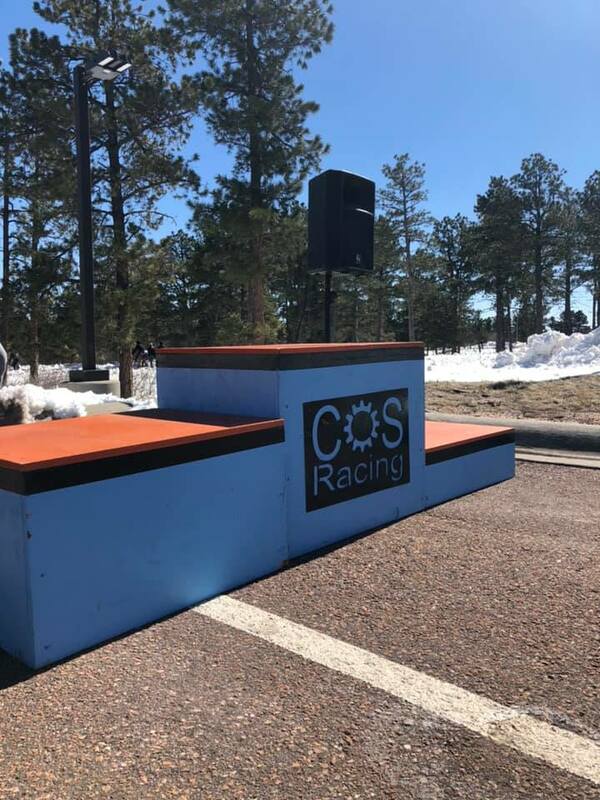 US AIR FORCE ACADEMY, COLORADO – Sunday was another outstanding early-season day for road racing at the early season Front Range Classic with COS Racing landing on the podium at least once during multiple challenging races amongst packed fields and tough national-level competition. The road race took place on a fast 13-mile hilly course on the US Air Force Academy. 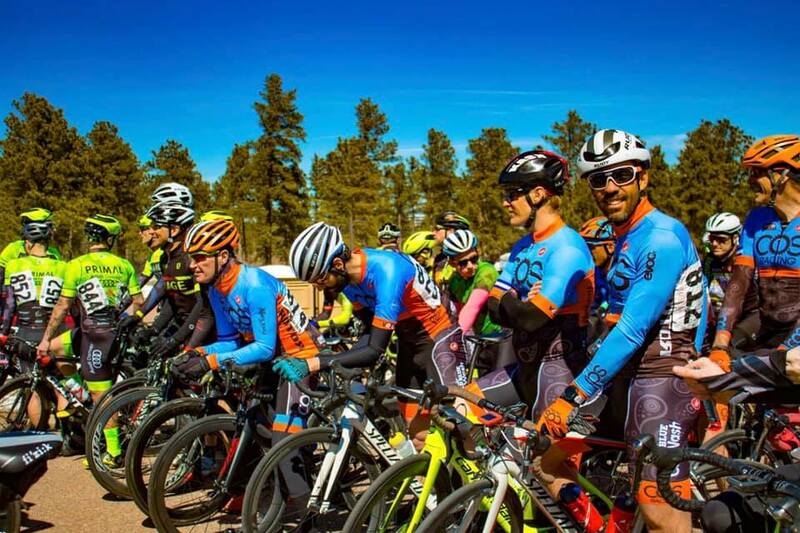 More than a dozen COS Racing riders entered the Mens, Womens, and Masters Road Races. 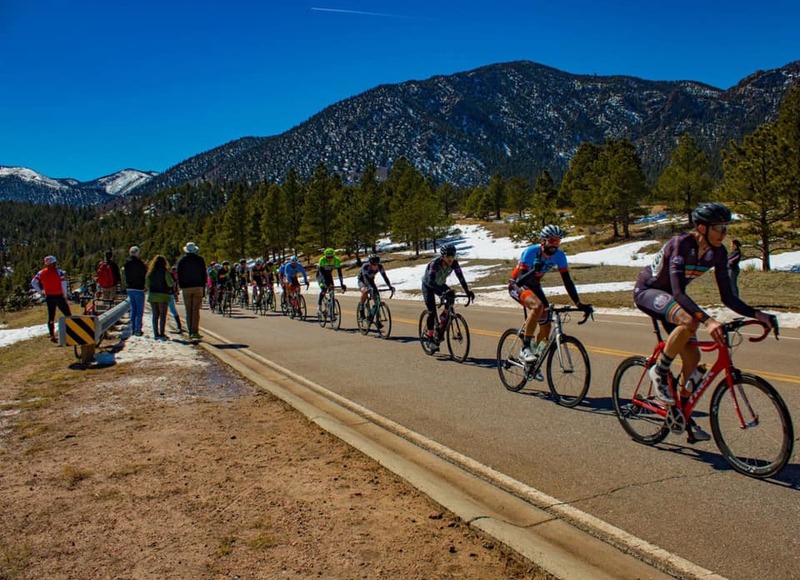 According to multiple competitors, the preceding week’s blizzards had cancelled travel plans for many professional and elite teams headquartered in Colorado resulting in a surge in elite-level participation in this event. By race morning this meant that nearly every race was full with a waiting list for many categories. This was not limited to professional categories. Nearly every race reached capacity with fields of 75 riders. Although the fields were large, the hilly course rapidly stretched out most fields into small groups and individuals riders. COS Racing riders from the Mens 4/5 race expressed similar sentiments. 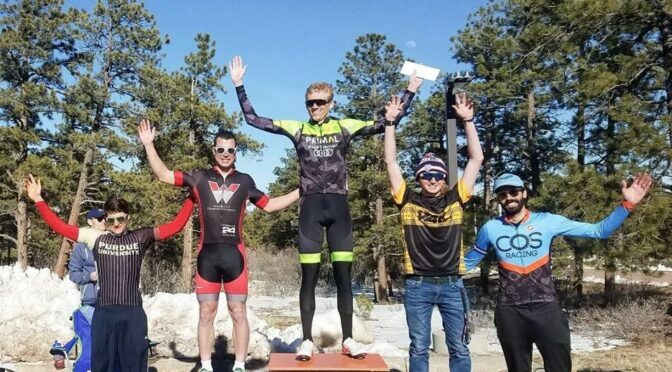 Riders Michael Brothers, Peter Jackman, George York, Ron Budhi, Tom Rathbun, Matt Payne, Mark Leenheer, Vladimir Dragomirov, and others competed in a full field of competitive riders. Riding a gravel bike, Michael Brothers lost contact early, however most others remained with the lead group during what Budhi described as an easy first lap until the first climb up Pine Drive. This climb attrited more than half of the lead group but left the majority of the COS Racing’s Cat 4/5 team intact. On the second climb, Jackman led teammates Buhdi and Dragomirov in closing a gap to the attacking group of ten riders. After the group came back together, the pace slackened for the much of the final lap in preparation for the final ascent. Jackman sprinted to fifth place from a small lead group with the remainder of the COS Racing team finishing shortly thereafter. 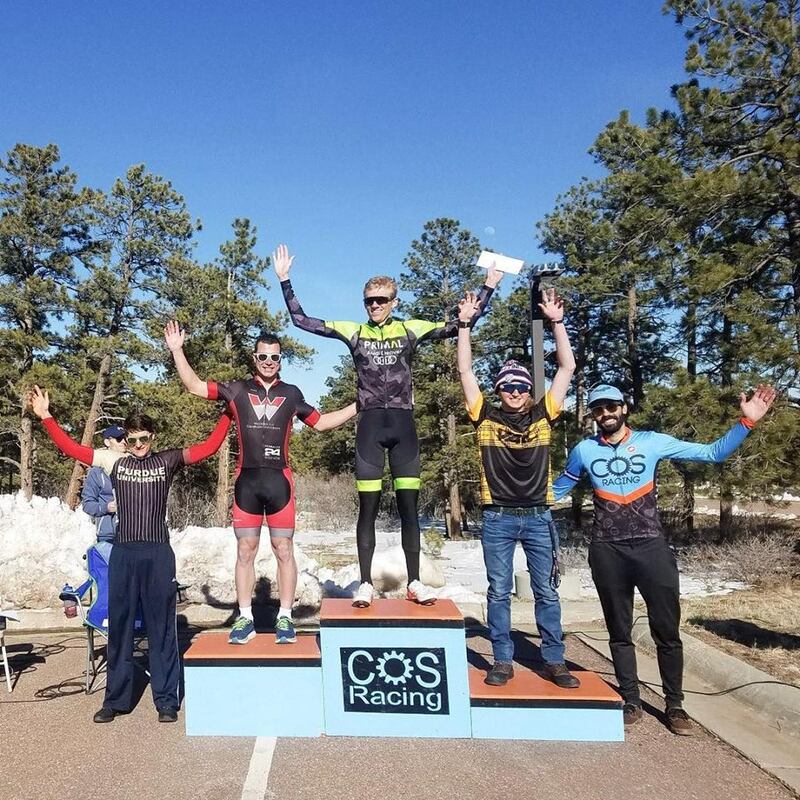 Other COS Racing Riders Peter Tonn and Matt Brady, as well as Liz Woods and Marisa Faro ccompeted in the Men’s 3/4 race and the Women’s road race, respectively. More details will be published as results from those events become available.